In fact, it is a hot spot for fall festivals and events, and fall is a perfect time of the year to plan a trip in Georgia. Fall is an extremely popular time for local artists to show off their unique styles, for musicians to perform for crowds, and for local organizations and businesses to remind locals and visitors why Athens is a fascinating place to be. Below you will discover some of what fall in Athens has to offer. Discover which festivals and/or events are right for you and your friends and family! On September 23rd, The State Botanical Garden of Georgia will host their 25th annual Insect-ival. The event runs from 9:30 a.m. to 12:30 p.m. in the Visitor Center and Conservatory and is just $5 per person or $20 per family. Come join the Garden staff and volunteers for creepy, crawly, fun. Discovery stations, roach and beetle races, an insect cafe, puppet show and, of course, lots of live insects will highlight this year&apos;s event! You also do not want to miss the annual butterfly release, the perfect opportunity to view dozens of beautiful, native butterflies fluttering around the gardens. On September 30th, Southern Brewing Company will welcome their beloved Bumpkin beer, brewed in a giant pumpkin, at their annual Bumpkinfest! Along with other limited release fall beer, Southern Brewing will be open for the entirety of the UGA versus Tennessee game, and their outdoor bar will be open all day. Admission is free, so stop on by for an early taste of fall! 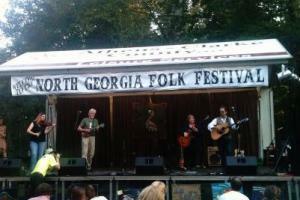 Athens will celebrate the 33rd Annual North Georgia Folk Festival on October 7th at Sandy Creek Park. This day-long festival includes musicians, artists, storytellers, food, kid&apos;s activities, and craft demonstrations. This exciting event is open to all ages, so bring the whole family! Tickets are just $15 for adults and $2 per person beyond that, but kids under 12 get in for free! There are plenty of activities to keep everyone busy all day long. Come out on October 7th and join the Athens-Clarke County Leisure Services Department for their "Touch a Truck Day" at Southeast Clarke Park. The event, taking place between 9 a.m. and 12 p.m., is the perfect place to bring kids of all ages so they can explore the ins and outs of construction vehicles, police cars, and more! The program is free and open to the public, so kick off your weekend with some fun and come touch a truck. Join the Athens Farmers Market for their 7th annual Autumn Harvest Feast on October 8th from 4 p.m. to 7 p.m. A celebration of everything local, the event features locally-sourced dishes from over a dozen of Athens&apos; best chefs! Tickets start at $90 and proceeds go to support the Market&apos;s SNAP Doubling program. The event is open to all, family-friendly, and a night you certainly do not want to miss. As with any college, homecoming is special to UGA and this year the theme is "Home is Where the Arch Is." UGA and Athens invite you to join in on the weekend-long celebration. 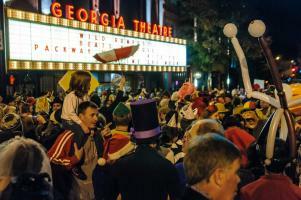 The weekend kicks off with UGA&apos;s Homecoming Parade on October 13th in downtown Athens! This annual parade is led by the spectacular Redcoat Band with appearances by the UGA cheerleaders, athletes, and other university and Athens dignitaries. In typical parade fashion, there will be an abundance of ornate floats and displays made by both students and faculty. In combination with the parade, a variety of other events will be taking place during the homecoming weekend. These events include a tour at the Special Collections Library on Friday, a carnival held on Legion Field on UGAs campus following the parade, several alumni reunions and tailgates throughout UGA&apos;s campus, and the homecoming football game between the hedges against Missouri, where the 2017 Homecoming King and Queen will be crowned. For even more information, visit our football page or the UGA homecoming page! 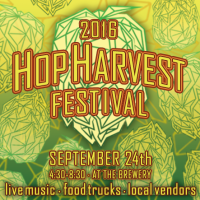 Mark your calendar for October 21st because the 8th Annual Hop Harvest Festival, presented by Terrapin Beer Co, is happening from 1 to 9 p.m. As always, the Hop Harvest Festival at the local Athens brewery will feature the much-anticipated special release beer, So Fresh & So Green, Green, along with live music starting at 6:30 p.m. Tickets this year are just $25 and things will run a bit differently because of the new laws that went into effect September 1st, but tickets will certainly sell quickly so reserve your spot today! The Classic City Fringe Festival celebrates the various fringe artists and performers who call Athens home. This festival spans several days in various venues throughout downtown Athens. This fall, the festival will be held from October 19th to the 22nd. It serves as an outlet for performers on the "fringe," such as street theater, circus and cabaret performers, burlesque and vaudeville, experimental art, film, and music. Prepare yourself, as you will be entertained, amazed, and inspired by all these performances. It is truly unlike any other event in Athens this season. Whether you are a runner, walker, jogger, or none of the above, the 8th Annual AthHalf is a race and event that combines Athens&apos; love for music and arts with its enthusiastic health community. The race raises funds and awareness for AthHalf Educates, a nonprofit organization dedicated to music and arts education. This fall, the event will have its first ever AthHalf 5k on October 21st, while the celebrated marathon will take place on October 22nd. The race weaves all throughout Athens and includes an exciting victory lap around the famous hedges of UGA&apos;s Sanford Stadium and fun-filled finish in the Tate Center parking lot and West Lawn. If racing isn&apos;t your thing, sign up to volunteer at the event! The Wild Rumpus Parade and Spectacle is an event that never fails to impress. This year the Monster Mash Kids&apos; Halloween Party for families will be on October 27th and is followed by the kickoff party at the Foundry. New this year will be a Monster Dash 5k on the morning of October 28th, followed by the Wild Rumpus Parade that evening. The parade marches through the historic downtown district with an outdoor stage show with the Rumpus Band, followed by a gigantic after-party. You can enjoy the spectacle from the sidewalks, or dress up in costume to join in on the march. Whichever you choose, The Wild Rumpus sets out to amplify the massive display of creativity by its residents and celebrates their self-expression in an inviting and safe environment. The Athens Area Homeless Shelter will host their 14th Annual Harvest for the Homeless on November 10th at the Classic Center. Early bird tickets are just $40 ($20 for students) but prices go up after October 10th so make sure to get yours today! Come and join the Athens Area Homeless shelter for a lovely evening of food, drinks, and live music, all while supporting a great cause and a great organization. The UGA Arts Council will be in the spotlight during the nine-day event taking place in early November. The 2017 Spotlight on the Arts Festival will highlight a number of events and activities, such as a concert by the Atlanta Symphony Orchestra, theater and dance performances, art exhibitions, poetry readings, author panels and book signings, and lectures and discussions on the arts and creativity, just to name a few! The 2016 Event was attended by over 23,000 people, so be sure to take a look at their schedule and drop by! There is plenty for you to enjoy beyond the hedges. Start planning a fall Georgia getaway to Athens today and make Athens your prime festival and event destination! 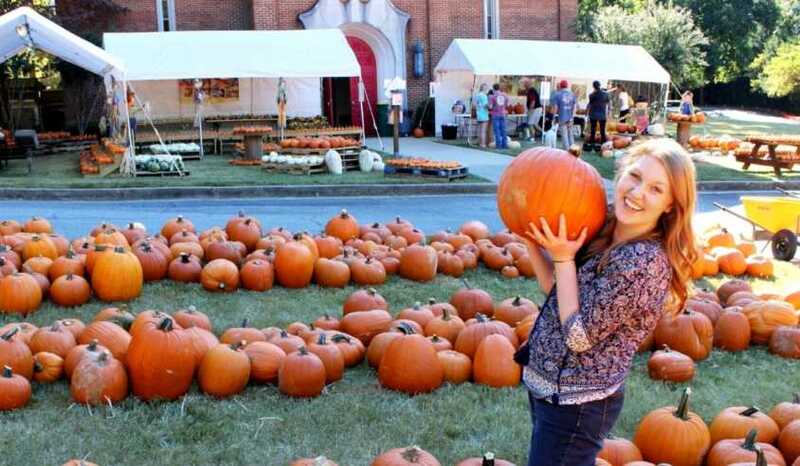 For a complete list of fall festivals and events, please visit our events page. This post, originally published on September 6, 2016, has been updated and re-published by Tristan Otto on Septermber 20, 2017. Cayla is a Senior at the University of Georgia, studying Advertising. Her favorite thing about Athens is that there is always something to do and there is never a dull moment. 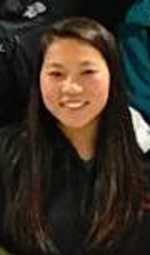 In her free time, she loves to cook and bake and discover new tv shows and movies on Netflix.